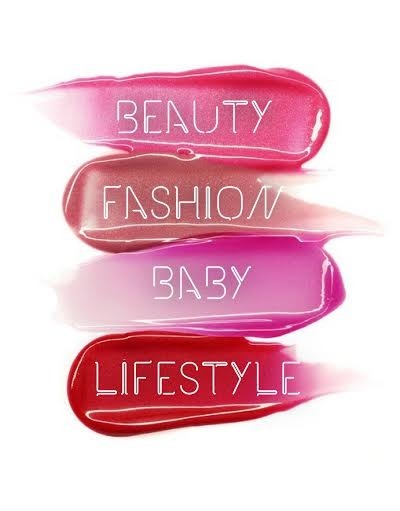 Life should be a balance between indulging in old favourites and making new discoveries. I firmly believe that even if you think something ‘isn’t for you’, sometimes if you just give it a go, you can find something new to love. 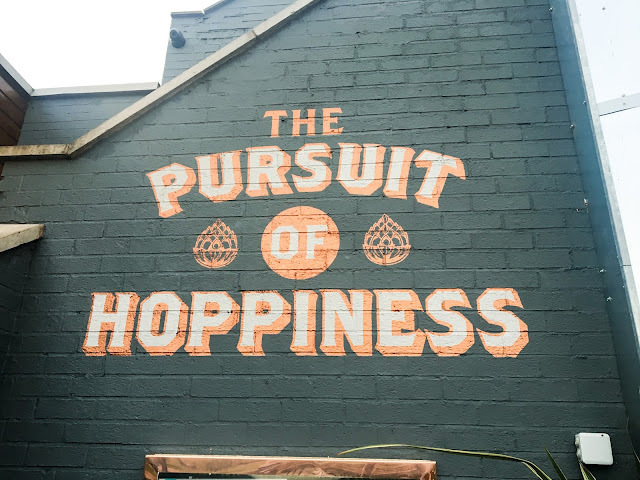 This was certainly the case for me when I popped along to a Beer Masterclass at hot new venue Brewhouse and Kitchen on Trent Bridge here in Nottingham. As a self-confessed ‘Beer Virgin’ I’ll be the first to admit I had a LOT to learn. 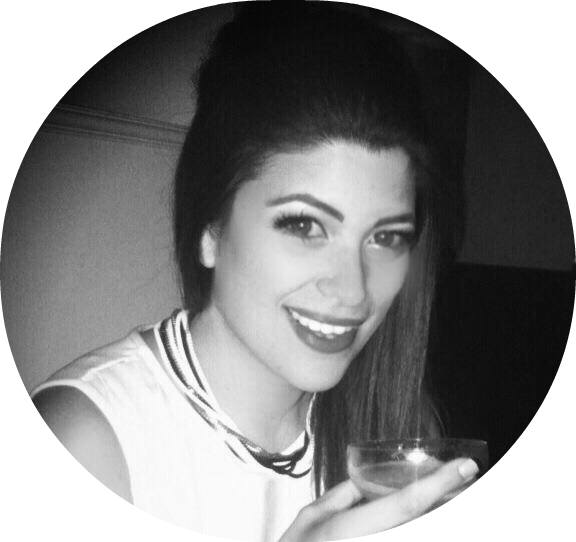 I’m generally a G&T girl with the odd foray into wine or champagne if I’m feeling flush, and I’m far more likely to reach for the cocktail menu on a night out than to think about having a beer. 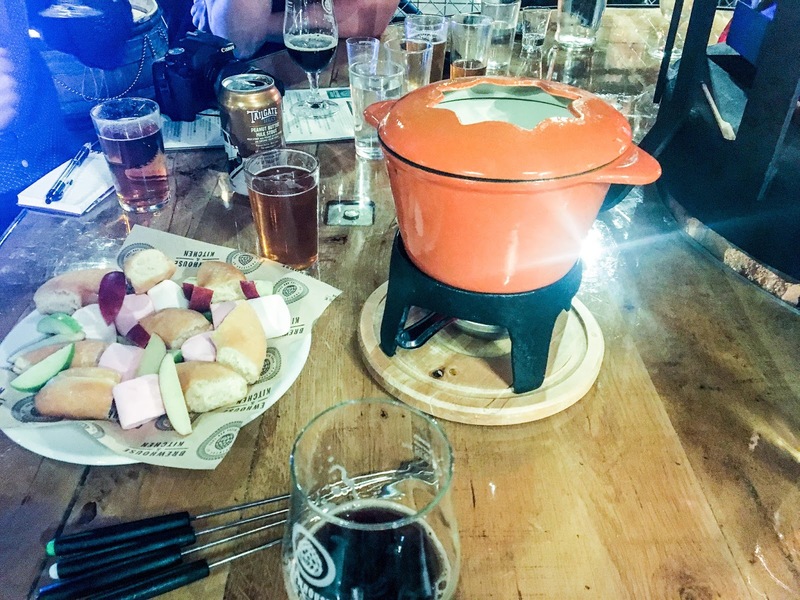 So at first I thought it just wasn’t for me, but as I thought about it, I became really interested in the approach and concept of pairing different ales with foods, like a wine tasting. I’ve been on a couple of wine tasting events and thoroughly enjoyed them, so I thought it was about time to see if my eyes could be opened to the world of beer. Could Brewhouse & Kitchen convert this die-hard gin drinker into a brewing buff? The venue has taken over from The Riverbank, a beautiful restaurant, bar and deli where I whiled away many evenings in the past. 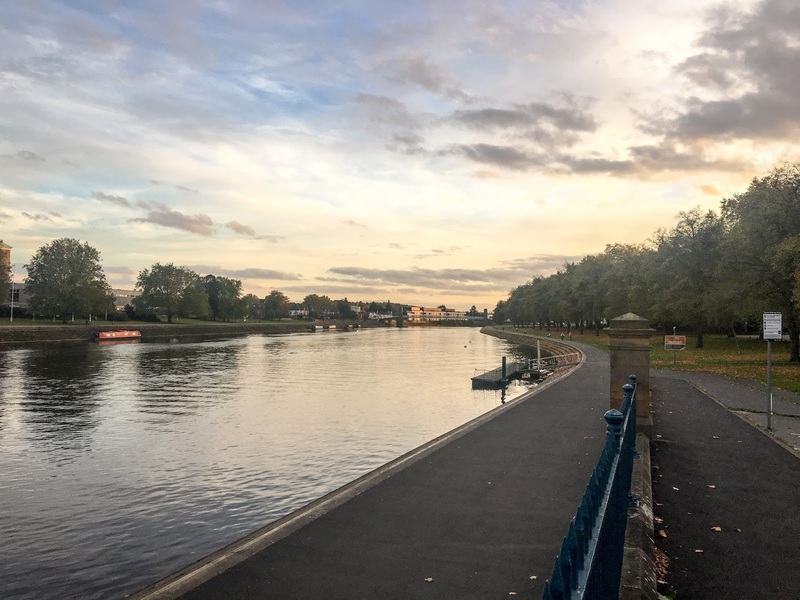 I had a real love for the place with its modern cuisine, beautiful décor, and gorgeous views over the river. I spent birthdays there sipping champagne. I spent nights there dancing to DJs flown in from Ibiza or live bands. I even booked the place out for my wedding reception. So when it closed down very suddenly, I’ll admit I was properly devastated. Brewhouse & Kitchen opened pretty soon straight after and I just assumed it wasn’t my thing at all. I’ll admit I was curious to see what it was like now. The beautiful venue has been given an industrial makeover, and it's definitely much less elegant than its smart predecessor. But the point of Brewhouse &Kitchen is about a good night out with friends, good food and most importantly, good beer. They have over 150 different world beers, including 5 that are brewed right there on the premises. 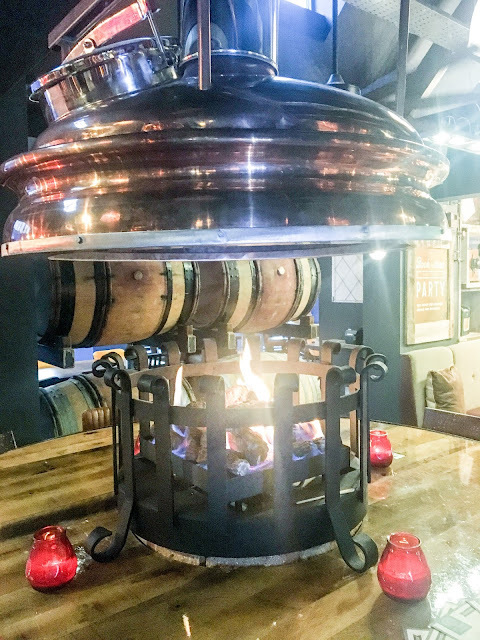 We took our seats next to the giant copper stills actually producing some of the wares we were about to sample, around a cosy firepit. Ben, the venue’s master brewer, took us through their special blends. As I said, I’m a complete newbie when it comes to beer, but he was very kind and didn’t roll his eyes when I had to ask the difference between beer and lager (one is produced with yeast during the fermentation process if you want to know). It was a journey of discovery. There’s actually not much that I enjoy more than meeting people who are passionate about what they do, especially if its something I know nothing about, so to hear him talk to us about what he’d produced and how much care goes into it was a winning experience. But did I actually like the beer? The ales brewed on the site are all named after events or quirks particular to this area of Nottingham, which I loved, It was when sampling an IPA called ‘1899’ (after the date of the very first Test Match played at Trent Bridge Cricket Ground, which you can see across the Bridge from Brewhouse & Kitchen) that I had my breakthrough moment. It was light, drinkable and very fruity, with a nose of apricot, very like a nice white wine. A sort of ladylike beer! And so refreshing. Suddenly I understood that there is an ale out there for everyone, it's just that there are so many different types, you may not have tried it! We tried plenty of others, including Constable – which Ben described as a ‘session beer’, meaning easy drinking, and a relatively low alcohol content- and a darker ale called ‘Streetblocker’ that was so smooth with no bitter aftertaste. That was another great discovery as it was just so drinkable, and definitely something I’d order on a night out – plus I do love the name, which is a cheeky reference to the fact that there are no streets in my hometown, just Avenues and Boulevards and Roads. 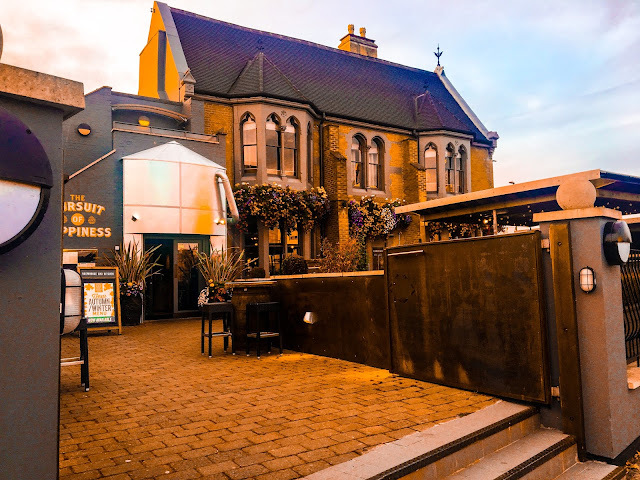 West Bridgford was built on land that was originally part of an aristocratic estate owned by the Manvers family, and they stipulated to the Victorian developers that ‘streets’ were too common! But this beer would be suitable for the highest born of persons, because it was absolutely delicious. Paired with each beer, we enjoyed a selection of delicious food from the Brewhouse & Kitchen menu. 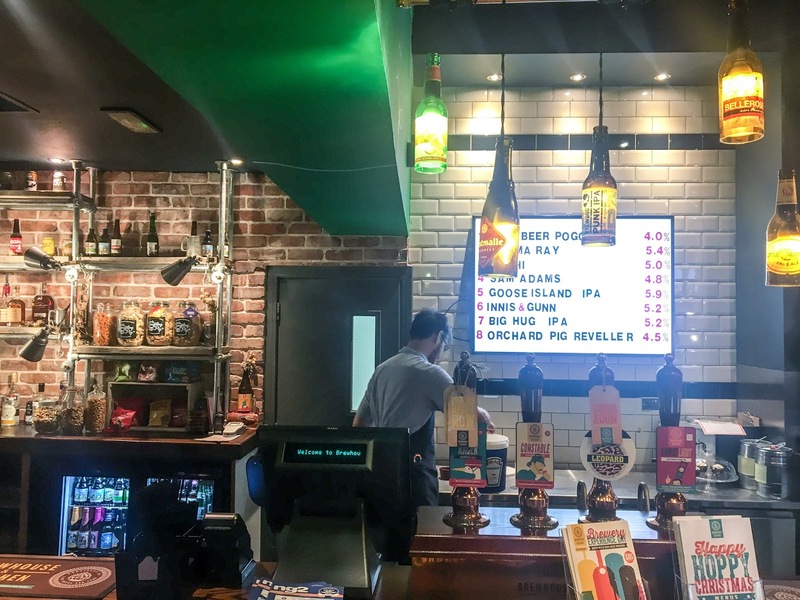 The idea is based around sharing platters, although the food itself is a mixture of British, American and some Oriental inspired dishes, designed to complement the beers on offer of course. 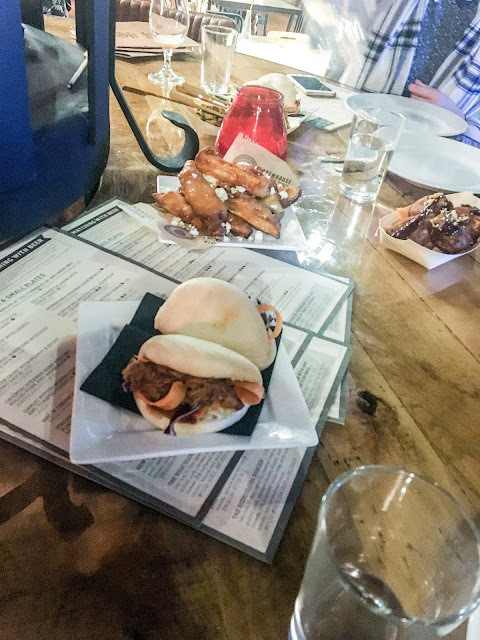 We enjoyed dishes like Steamed Buns with Barbecue Pulled Pork, Salt & Pepper Calamari and Chicken Satay with Peanut & Stout Dipping Sauce - all very nice. My standout favourite though, was the Tempura Aubergine with Feta and Drizzled Honey – absolutely delicious. It's always a good sign if the vegetarian options are every bit as good as the meat dishes! They also do fondue, which made me a very happy bunny. I was impressed when we were given a beautiful chocolate fondue matched with an incredible Peanut Butter Milk Stout from the US that was just amazing. I would definitely go back in for fondue and one of those again (in fact, I took the husband in the following weekend to do just that!). It’s something very different (to me at least) for a night out, but I thoroughly enjoyed my beer tasting experience and it has completely opened my eyes to the world of beers and all its nuances. 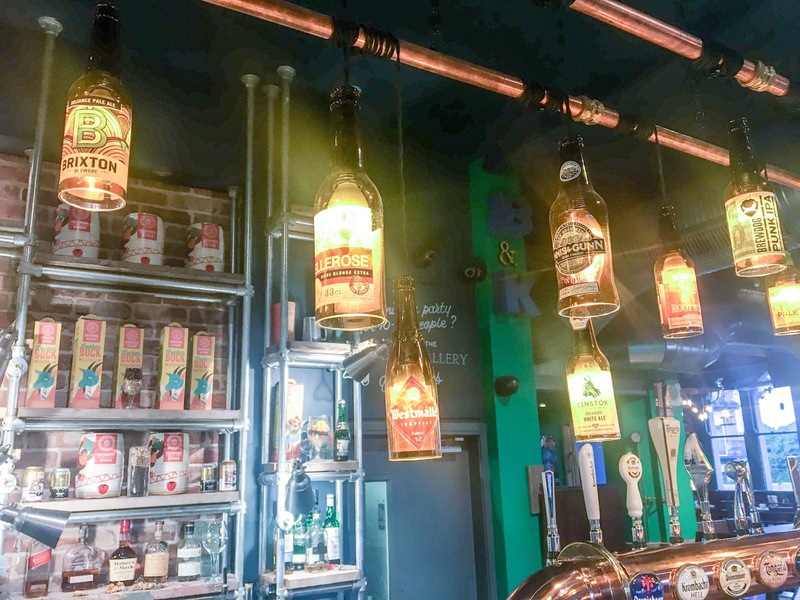 From the complete novice looking for an evening out with a difference to the seasoned ale aficionado looking to try something new, Brewhouse & Kitchen has a hell of a lot to offer. The Beer Masterclass they offer for £20 is a great starting point to learn about beer or to give as a gift to that tricky person in your life that’s seen it all before. For the real beer enthusiasts, you can also purchase a more in-depth day with a master brewer where you can brew your own blend! We all got sent home with a keg of our favourite and a big smile on our faces. Great hospitality and something fresh - this is one beer newbie who is definitely converted to artisan beer.